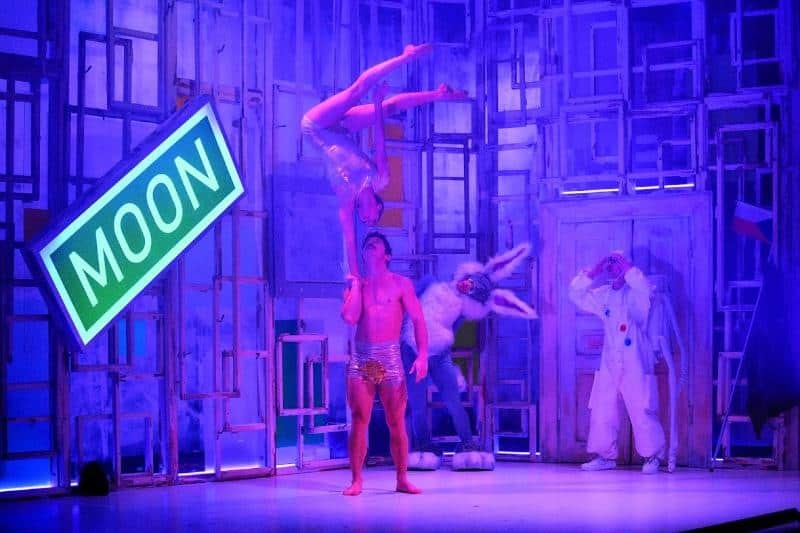 I’m a firm fan of having something to look forward to in January, so I was delighted when Super Break asked us if we would like to try a London Theatre Break from their website. January is a pretty dull month after all the Christmas celebrations so it was lovely to have a short city break on the horizon. When I’m at home working or looking after the children, my life is all about routine. It keeps everything on an even keel and when it comes to day to day life, I wouldn’t be without it. I definitely need a break from the routine every now and again, and travel helps me step outside of my day to day life and leave the school run and packed lunches behind me for a short time. I decided I would take my sister on this theatre break as we were long overdue a weekend away together. During our trip we realised that we had never been to London together, which seemed odd seeing as we both love visiting the city. When it came to booking our theatre break through Super Break, there were lots of shows to choose from, with some excellent discounts available. If you want to see Lion King, Dream Girls, Wicked, Matilda, Chicago or any other West End Musical, Super Break is a great place to start your search. 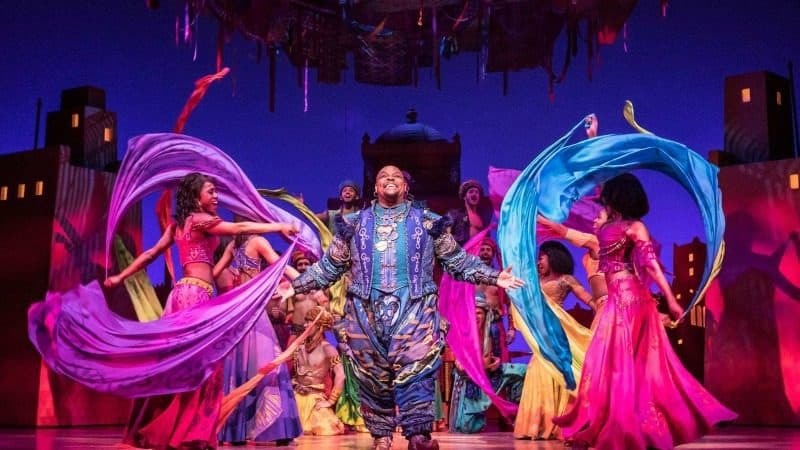 We wanted to see a Disney show, and we agreed on Aladdin, as it seemed the perfect musical for lifting our spirits in January. With Super Break you are also able to book your train tickets, hotel stay and any extras you may want to add to your trip like tours, attractions and dining. We booked return train tickets to Nottingham, and also a one night stay at the 4* Park Lane Mews Hotel in Mayfair. We also had access to a City Cruises rover ticket over the course of the weekend. It made for a nice break from the tube and we got to learn some interesting facts about the city too. Once your theatre break is booked with Super Break, they send you all the tickets you need for your London stay. Your travel tickets, theatre tickets, hotel voucher and anything else you have booked will arrive through the post. Knowing that all your travel documents have been sorted and are together in your handy Super Break wallet is a huge peace of mind, and makes booking your trip really convenient. Our train tickets were really flexible, so we left Nottingham at 7.30am on Saturday morning. We wanted to enjoy as much time in London as we could, so the early start was worth it. 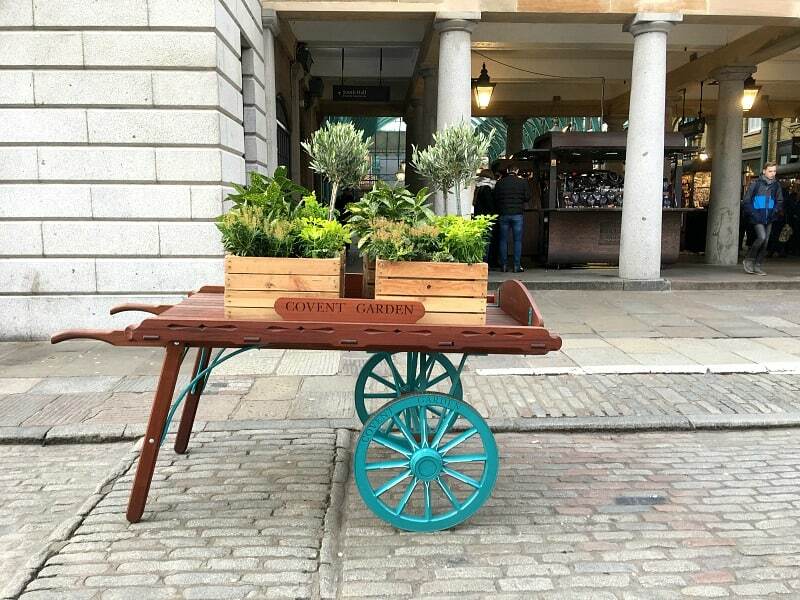 We arrived at St Pancras by 9.15am and headed straight to Covent Garden to start exploring. While we had been planning this trip, we discussed places that we both enjoyed to visit in London, and it transpired that there were places my sister enjoyed that I hadn’t seen and vice versa. This helped us put our travel itinerary together and it was lovely to be able to share our favourite spots in London with each other. 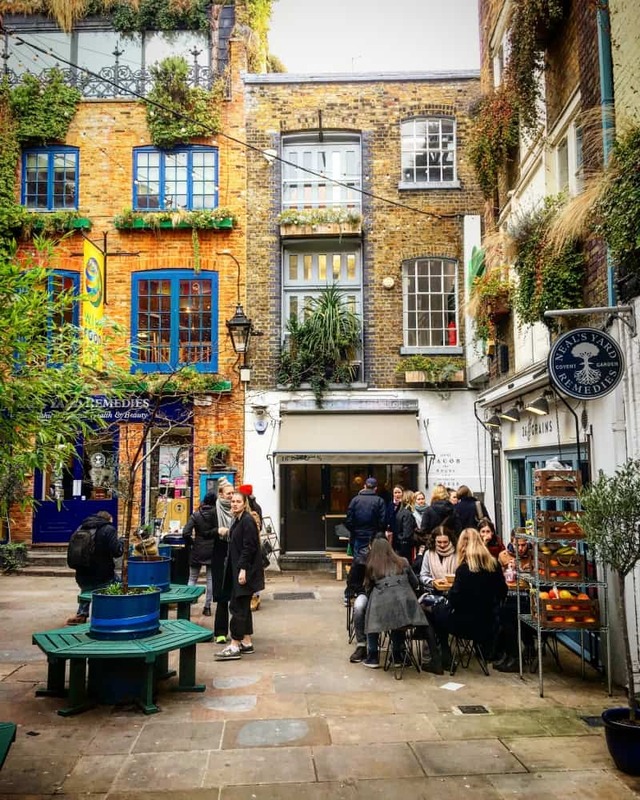 The first place we ticked off our list was Neal’s Yard. My sister had never seen this gorgeous little pocket of London so we decided to head there for coffee. It’s such a colourful little courtyard, that it’s the perfect setting to sit and chat for a while. I’d also wanted to show my sister inside The Royal Opera House, but sadly it was closed for renovations. It’s OK if things don’t go to plan in London though, as there’s always something else to look at not far away, so off we went to China Town and Soho to have a look around. 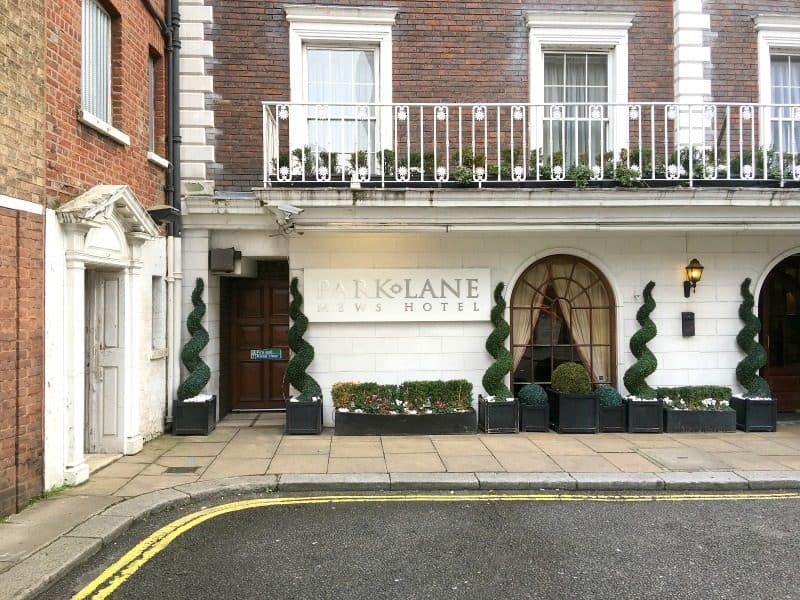 After a very busy morning, we decided to head to the Park Lane Mews Hotel in Mayfair to freshen up before heading out for dinner at Shikumen and to see the show, Aladdin. The hotel was just a 5 minute walk from Green Park tube station and Buckingham Palace. Park Lane Mews Hotel is on a quiet street, which I always think is a good sign, and it was brimming with charm both inside and out. The interior was traditional and comfortable, making for a very warm and friendly welcome. We had a twin room on the fourth floor which was very comfortable for our one night stay. There was a flat screen TV and free wifi, as well as tea and coffee making facilities. We tested the beds straight away, deciding to put our feet up for half an hour before getting ready to go out again. Travel Info: Jubilee Line From Green Park To Westminster. City Cruises boat from Westminster Pier to Tower Pier. Our next stop was Shikumen, a Chinese restaurant in Aldgate that specialises in Dim Sum. We decided to take the City Cruises boat from Westminster Pier to Tower Pier, and our timing could not have been better. It was just getting dark so we were able to enjoy the lights along the Thames as we approached Tower Bridge. It was the perfect way to get to the restaurant. 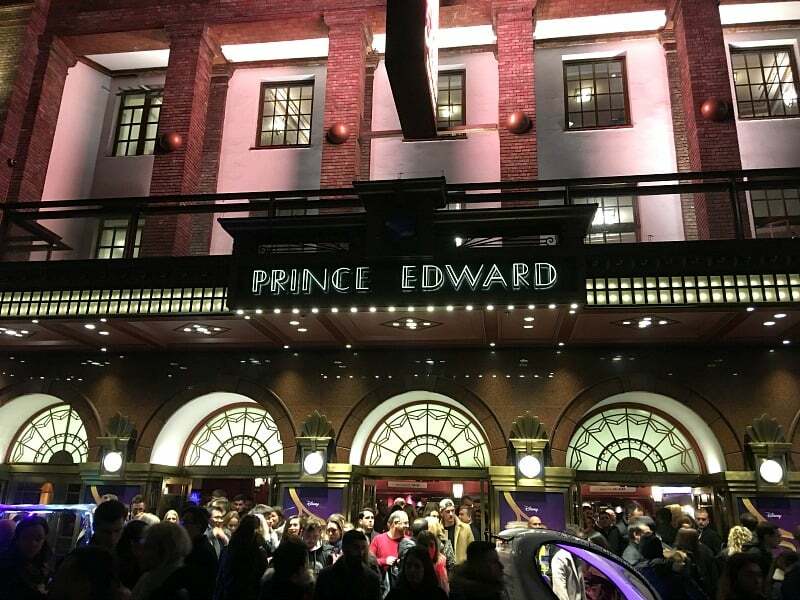 After an incredibly delicious meal, we took the tube from Aldgate to Tottenham Court Road before taking a short walk to the Prince Edward Theatre just in time for the start of the show. We had wonderful seats in the dress circle with a great view of all the action. Aladdin was simply incredible, and I can totally recommend going to see this show on your Super Break theatre weekend. I knew we would enjoy it, but it completely surpassed all our expectations on every level. The genie was amazing, and we could tell the actor simply loved playing that part. He literally bought the house down, but the whole cast was amazing too. Aladdin contains just the right mix of humour, along side some excellent singing and dancing. It’s a wonderful showcase of the Disney songs that we all know and love from the 1992 adaptation of the story. The stage was just incredible too with great scenery in place to help tell the story. The cave scene where the lamp is being kept really stood out, and the magic carpet moment with Aladdin and Jasmine was, well, just magical. It was literally the perfect show to end what had been an incredibly perfect day and when the curtain came down, we headed back to our hotel feeling very satisfied with all our adventures. 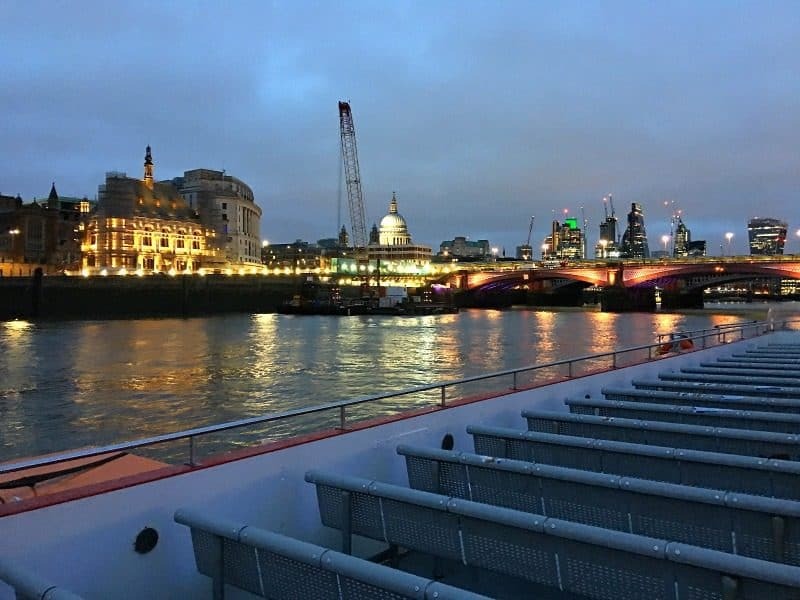 After a great night’s sleep and a hearty full english breakfast at the Park Lane Mews Hotel we decided to take the tube from Green Park to Westminster Tube to catch to City Cruises boat to Tower Pier. One of my sister’s favourite things to do in London is visit Borough Market and I have to confess I have never been. We walked along the Thames and across the river only to find out that Borough Market is closed on Sunday’s. We were literally shocked! We didn’t realise anything closed on a Sunday, especially in London. If you want to visit Borough Market during your theatre weekend, my advice would be to go on Saturday. We decided to get a coffee at Roast, and enjoyed the view over the empty market stalls instead. It was still a good way to spend a Sunday morning. We got the tube from London Bridge to Mayfair and decided that some shops along Piccadilly needed our attention. 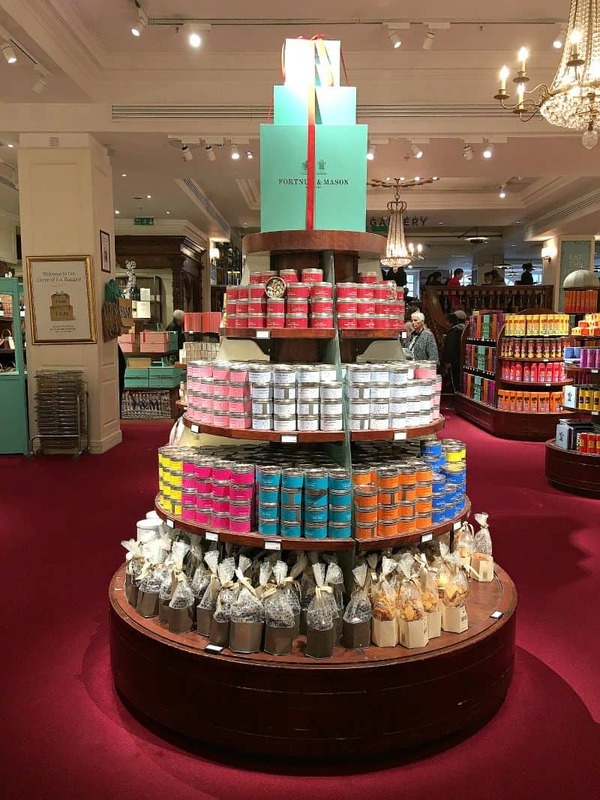 We browsed in the arcades and spent an unhealthy amount of time in Fortnum and Mason, which we both really enjoyed. Our last stop was a visit to Mr Fogg’s in Mayfair for a spot of afternoon tea and some rather fitting parlour entertainment. It gave us the opportunity to reflect over our adventure and refuel before catching the train back to Nottingham. If you want some quirky inspiration for your weekend in London, check out these ideas! All in all, I can describe our theatre weekend with Super Break as a huge success and it’s something I would happily do again either for seeing a London show or one of their other short breaks. In terms of convenience and service, it ticked a lot of boxes for us. They also offer flexible breaks in terms of price and availability. If you are looking for a girlie getaway or a couples break I can most certainly recommend them. You can follow Super Break on Twitter, Facebook and Instagram for regular updates and offers. We were provided with a complimentary theatre break from Super Break in exchange for this post but all thoughts and opinions are our own. Wow! What a great weekend. I have never heard of Super Breaks but I like the idea that you can book everything in one place. I have also heard of Park Mews Hotel but it sounds lovely. I love London, I am going next week but business through and through. I do wish I could go to theatre. What an incredible super break you had. I’ve seen a few deals where you can book altogether. They’re fab! Looks like you has a really good time. I’d love to go and watch The Lion King soon so I can check super break. Thanks for sharing! This sounds great. I’ve booked a theatre date later this month. I can’t wait. London is such a wonderful city and one I just don’t get to enough. I can’t remember the last time I went to the theatre. It must have been absolute ages ago! Sounds like a fun break. What a great weekend spent seeing you so much. It looks like you guys had an awesome time.